May’s speakers were the Founder of Vibe Tickets and Tech Entrepreneur, Luke Massie alongside Teenage Tech Entrepreneur and Ambassador to 10 Downing Street and The Princes Trust, Ben Towers. Moderating this event was Irish Presenter, Lisa Cannon. Luke is one the UK’s youngest and most exciting tech entrepreneurs and disruptors. At the start of 2018 he was named on the Forbes Under 30 Europe List. He is the founder of Vibe Tickets who so impressed Sir Richard Branson with his innovative solution to sourcing tickets for sold out events, thus rendering the secondary ticket market completely redundant that he invested in his company. Smart as a whip, Luke started his first business at 17 and has the innate understanding of today’s trading environment that comes with being weaned on mobile communication. His standing room only speeches are notable for their humour, insight and optimism. Luke is passionate about communicating his experiences in the business world to fellow and budding entrepreneurs, especially ones that may not have had the best start in life. Ben’s path to becoming “one of the UK’s most exciting entrepreneurs” as described by Sir Richard Branson, began aged 11 with the launch of Towers Design. Here he worked with leading international brands, including Amazon Echo and NHS Give Blood, helping them to engage with the next generation via social media and effective campaigns. Ben regularly appears on TV promoting young people in business and was named #1 on The Times Super Teen Power List. His success has enabled him to invest in other disruptive businesses. Ben exited Towers Design in 2017 after a “multi-million-pound” merger. 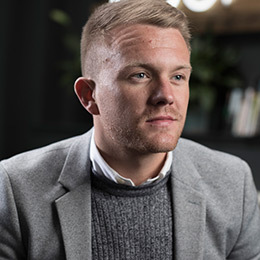 He is focusing on the launch of his latest business Social Marley and consultancy work, which benefits from his experience delivering marketing campaigns for the likes of Champneys and the Government. Lisa is the popular presenter and producer of weekly movie show Box Office for Irish channel TV3. Previously, she presented daily entertainment show Xpose, RTE’s prime time show Nationwide, as well as on The Early Show, a CBS television program broadcast to over 3 million US viewers. Lisa has adorned red carpets from Cannes to Hollywood, covering the Oscars, Cannes Film Festival, The Golden Globes, and The BAFTA’s. She has interviewed many of the world’s most influential and popular celebrities including Beyoncé, Steven Spielberg, The Rolling Stones, Mariah Carey, Tom Cruise and Kim Kardashian to name just a few.